This post was produced in partnership with Behr. 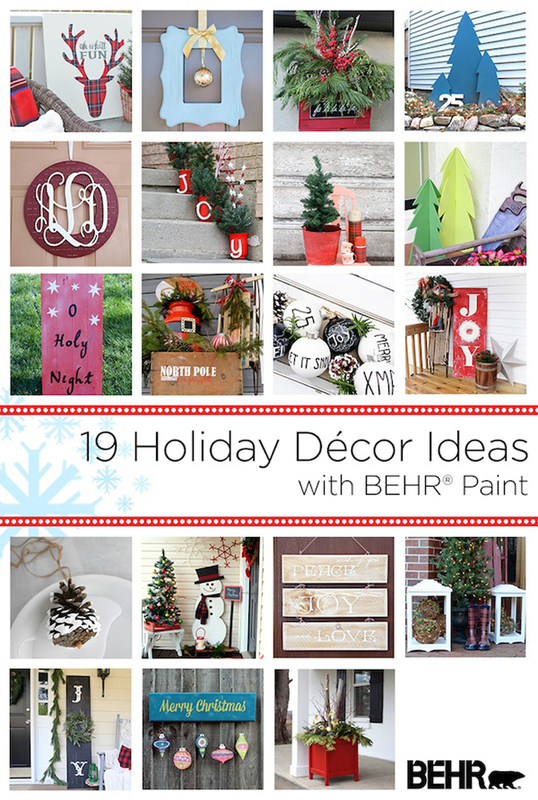 All paint products mentioned in this post was c/o of Behr. However all ideas and opinions are 100% my own. As part of the BEHR Holiday Home Challenge, my fellow BEHR DIY Experts and I were tasked to create a holiday DIY project. Today, I’m so thrilled to share not only my own DIY project but 18 other fabulous projects from 18 other fabulous DIY and lifestyle bloggers! For the past two years, I stuck to traditional Christmas colours such as red and green. This year, I really wanted to create a modern atmosphere and therefore decided to dress my tree and house with shades of minimalistic black and white for the holiday season. 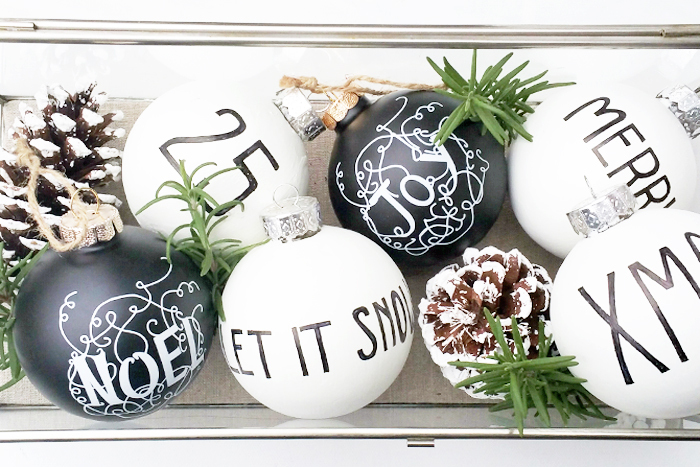 These DIY Black and White Ornaments were the first on my list to tackle, they are super easy to make and the possibilities are endless! 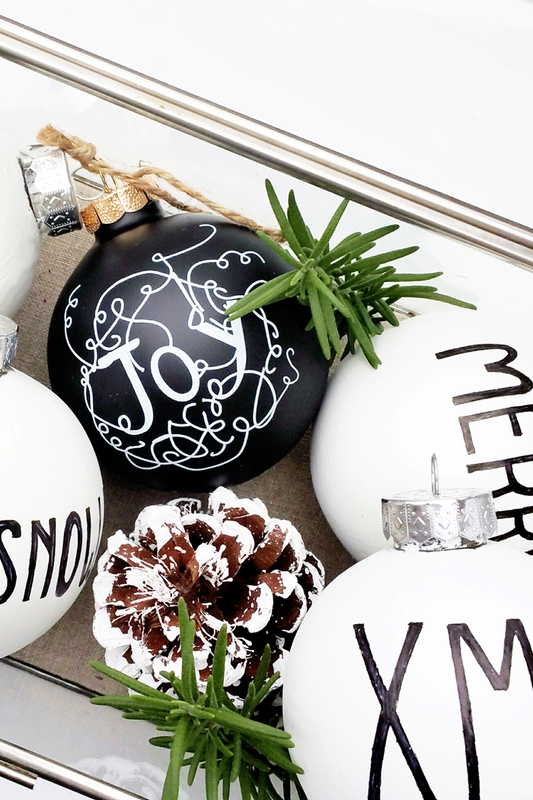 Read further to see how you can create your own DIY Black and White Christmas Ornaments and enter to win 4 gallons of BEHR Paint of your choice! 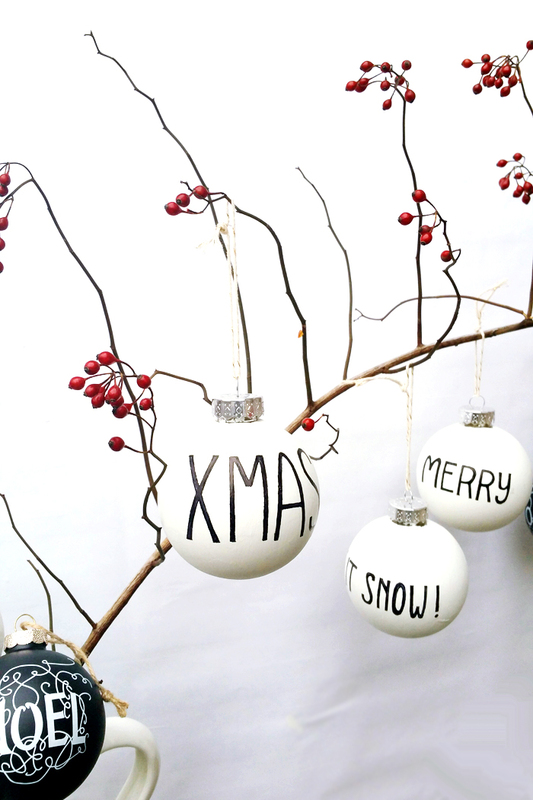 1 Remove the tops from each ornament / 2 Paint first coat of paint and set aside to dry / 3 Repeat with a second set of paint and set aside to dry / 4 Get creative with your marker with your favourite holiday workmarks! / 5 Affix the tops and use as tree ornaments or decorative accessories! I hope you like this project and be sure to enter the giveaway to win 4 gallons of BEHR paint of your choice, we’ll be drawing 3 winners! Contest opened to US and Canadian Residents. There’s something perfectly chic and modern about black and white for the holidays – I would love to have a full tree of black and white! Pagoda is my favourite colour! Wondefrul ideas! Smth what I was looking for! I can’t get enough of their color Urban Raincoat! It’s the perfect sagey “greige” ! Gorgeous ornaments! Love anything black and white! I really like the So Merlot color. It is so pretty. I love, love. love these!! So cute! My favourite Behr colour is Tahitian Breeze . Painting my craft room this colour in the new year. 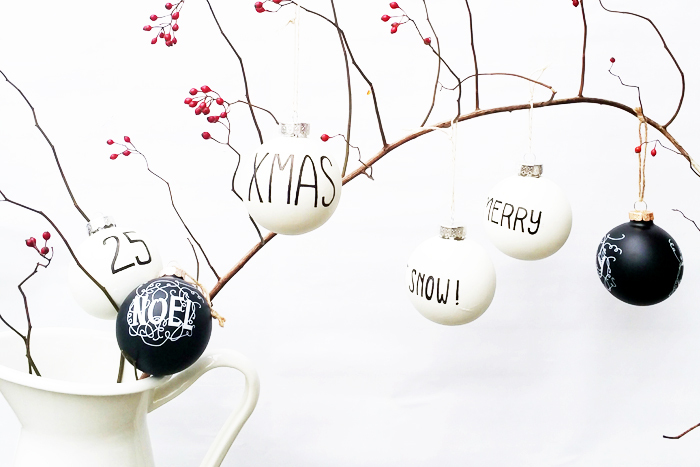 Love your ornaments and photography !